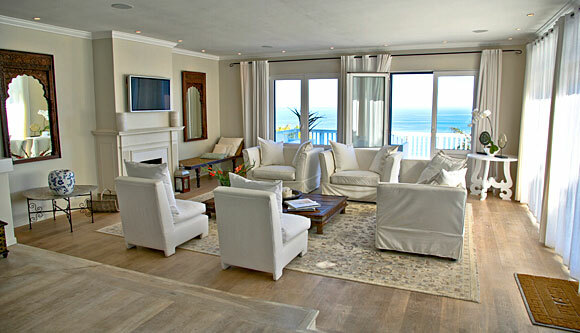 Why stay at PARADISE VILLA? 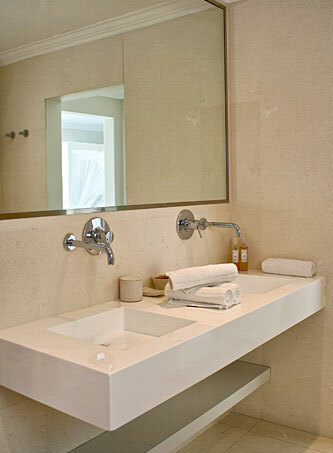 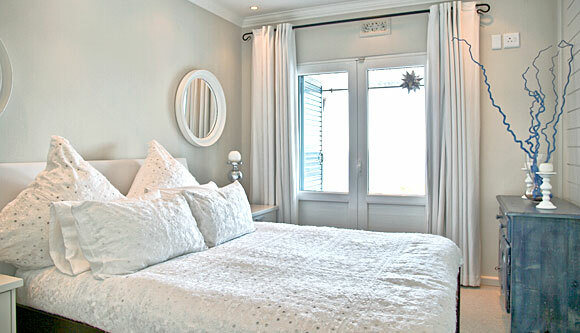 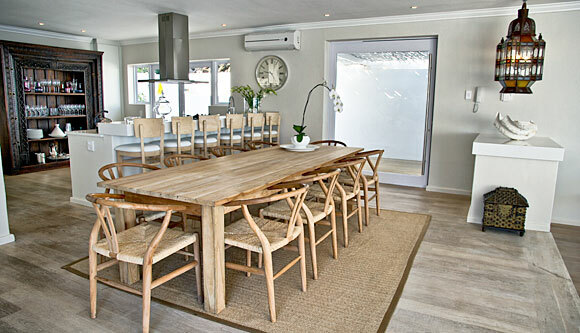 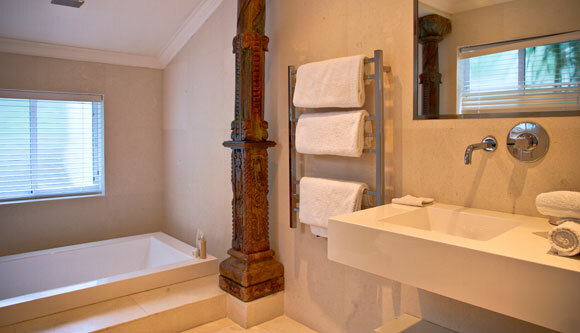 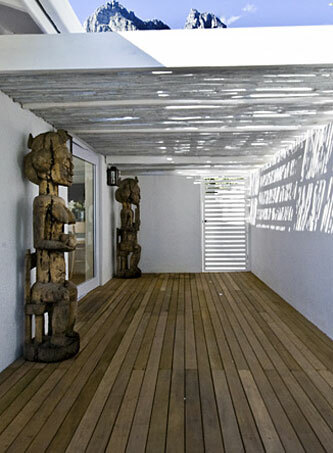 Paradise Villa is a beautiful and recently renovated four bedroom villa in Camps Bay. 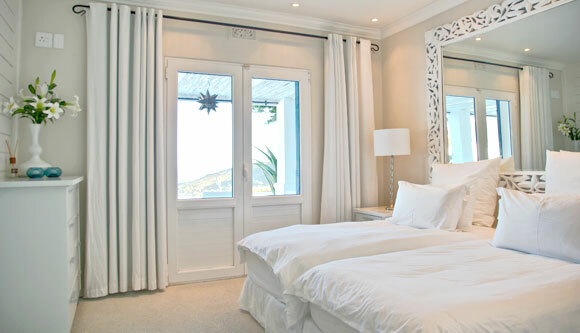 Inspired by the architecture and colours of Greece and Ibiza, Paradise Villa is a calm and serene oasis that gazes onto the tranquil Atlantic. 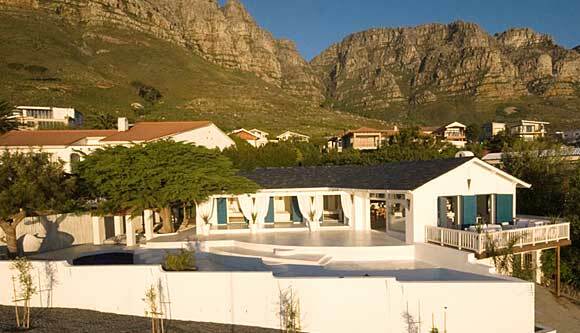 This exquisite villa is an ideal holiday get away for a paradise vacation. 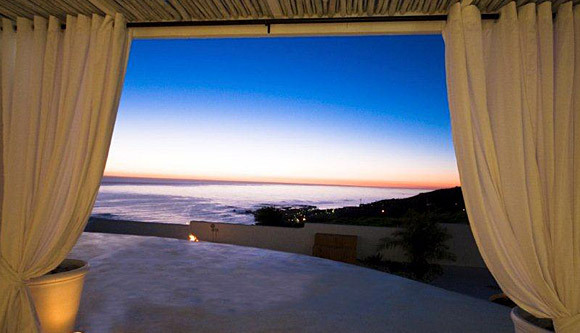 With scenery that will instantly put your mind at ease. 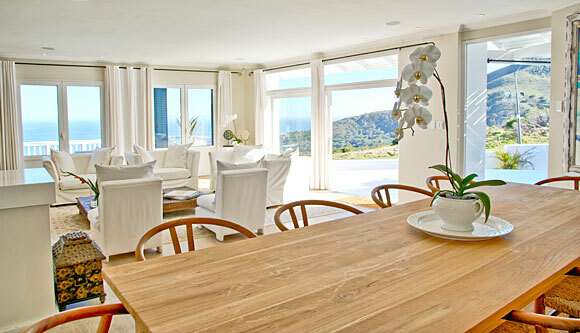 One enters the villa and is greeted with the open plan living and dining room along with expansive views of the bay. 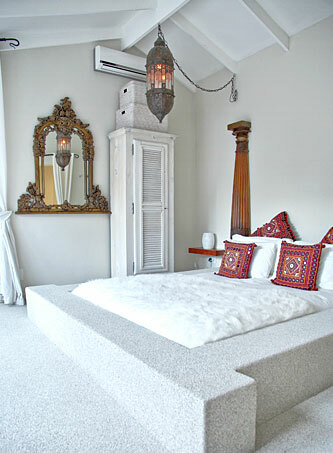 Each bedroom has been fitted and decorated in the highest quality finishes and incorporated with ornaments and impressive antique pieces from the East. 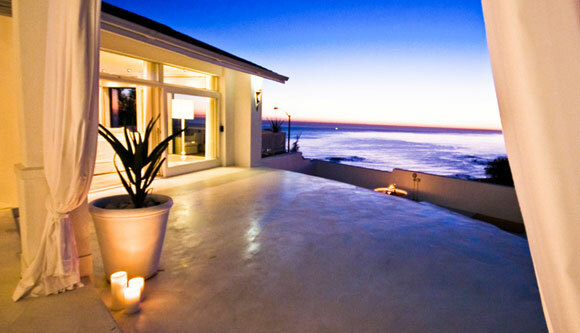 Three bedrooms are sea facing and the fourth bedroom faces onto the garden. 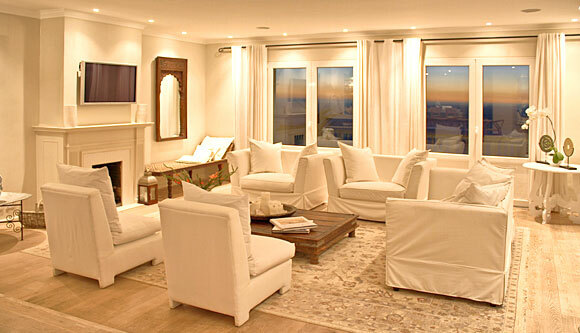 Each room is ample in size and luxurious in decor. 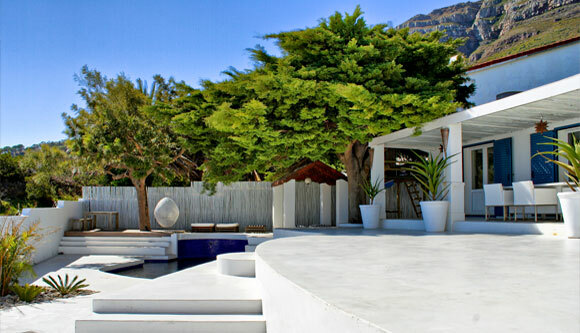 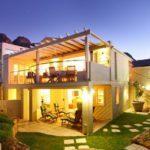 The impressive pool deck is unique in Camps Bay and is the perfect spot for those lazy summer afternoons and for families with kids there is even a tree house and private garden for small kids to enjoy. 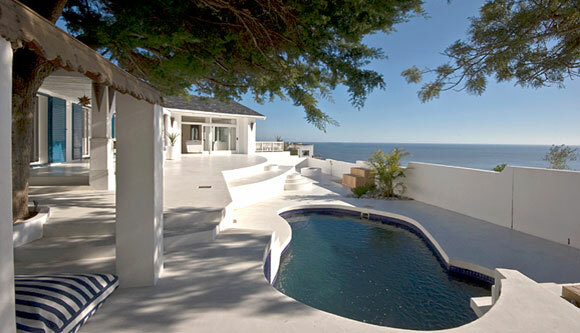 Paradise Villa is the perfect villa for those looking to get away from it all. 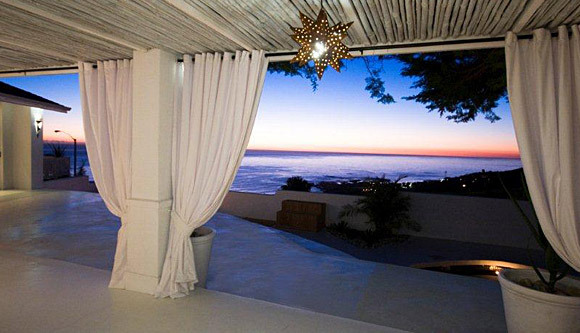 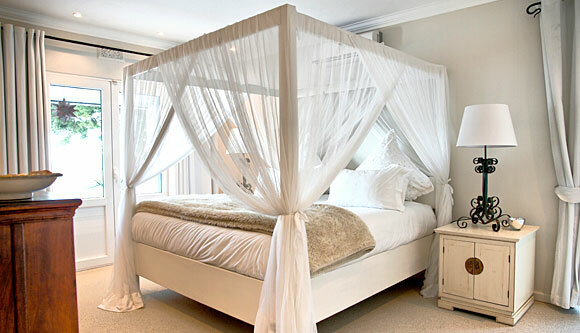 The gazebo with large pillows is ideal to watch the sunsets and stunning uninterrupted views of Camps Bay. 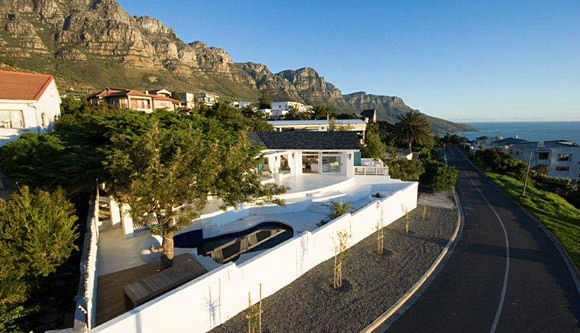 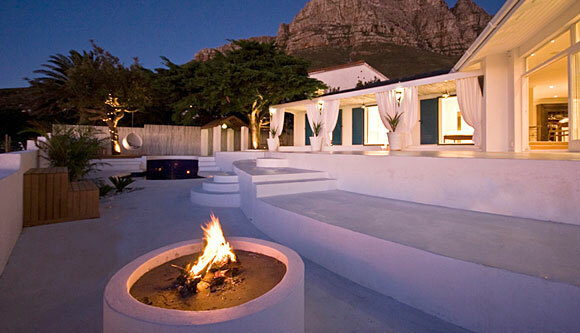 Without a doubt, this remains one of the most exclusive properties in Camps Bay. 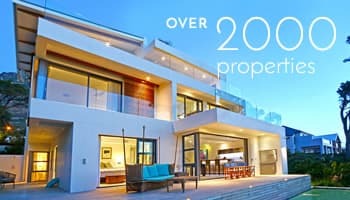 Camps Bay Beach – 450 metre walk. 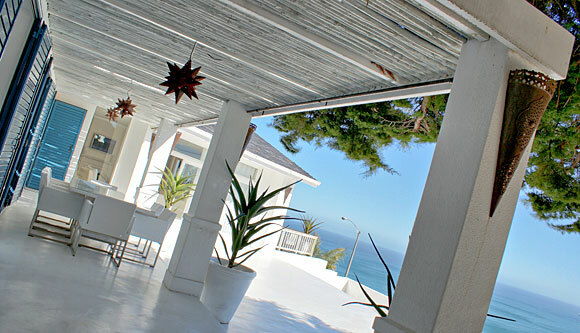 Ready to stay at PARADISE VILLA?